As a DigitalMarketer Certified Partner, we are happy to provide the best digital marketing training that exists! If you’re a business owner, marketing executive or agency owner, then DigitalMarketer HQ is for you. As a member, you’ll leverage our comprehensive training and certification library to streamline and automate the onboarding and training process for your entire sales and marketing teams. Transform them into a modern symbiotic “Growth Team” committed to driving leads and sales into your company. 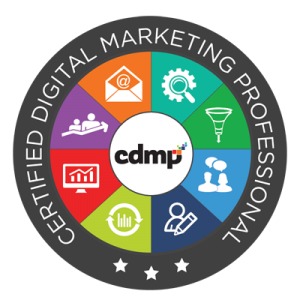 While DigitalMarketer doesn’t sell individual licenses directly, they do through Certified Partners like us. 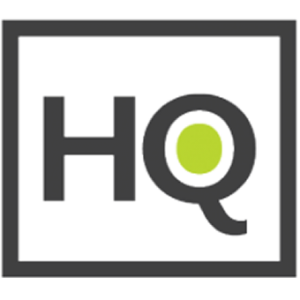 If you are a small shop and just need 1 or 2 licenses of DMHQ, you’re in luck! Head over to our sign-up page and enroll now! If you are looking to get your team trained, you can do so through us or directly through DigitalMarketer. Whether you sign up through us or DigitalMarketer, you will get access to the same exact platform and the same exact training (all training is done on DigitalMarketer’s proprietary learning management system). 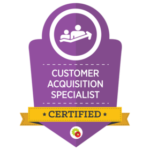 If you sign up through us though, you will also get our individualize help leading you through the certifications. We break them down for you, give you the recommended order for your firm and tell you what certifications make the most sense for your specific people. On occasion, we also offer discounts so you can always ask. As some folks do prefer to sign up directly through Digital Marketer, we make that easy too. Head On Over to Enroll Through DM! If you are looking for the fastest way to get up to speed with what is current today, the Digital Marketing Mastery program is the IDEAL solution. 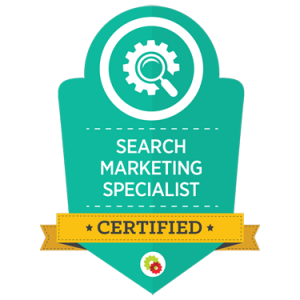 Go from barely knowing how to spell SEO to a highly trained, highly compensated digital marketing professional in 12 weeks. Your company needs digital marketing experts now. It is no longer an option. You need trained and equipped professionals on your staff. Mastery students will complete course trainings and quizzes and participate in instructor led discussions that will relate the course material to practical, real-life business scenarios. You will also complete a series of mini-projects that will not only test your knowledge but also test your ability to apply that knowledge to your company. And when you are finished you will take the final exam. And upon completion of that exam, you will be awarded Digital Marketer’s highest level designation and become a Certified Digital Marketing Professional. Current Digital Marketing Professionals that are looking to get an edge & really hone their skills. Start-Up Founders who need to figure out how to acquire customers and clients on their own. Agency Owners who are looking to expand their service offerings and boost their credibility with potential clients. College Students or Recent Graduates who want to break into a fun, in demand, and high paying field. The crazy, busy business owner who barely has time to check the mail or pay the bills. You should not be in this class BUT what you SHOULD do is have someone on your team go through this because you, more than anyone else need one of these people in your organization. It is taught by practitioners who actually do this stuff, not instructors who merely understand marketing theory. Things change so fast that those in the academic world get left behind. 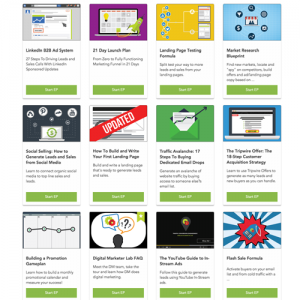 You will be trained in ALL 8 core disciplines of digital marketing, not a single silo. It’s not just training, it’s certification! If you are looking just for specific training material in one of the 8 core disciplines of digital marketing, we have you covered here too. While Mastery and DMHQ are incredible deals, you can purchase just the training and certification that you need. This is the cornerstone course that all business owners and employees can benefit from! It lays the groundwork and explains how a “funnel” for generating and converting leads works. 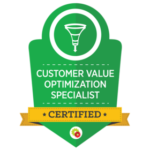 Instead of a rudimentary execution, we dig into the elements that make a truly OPTIMIZED funnel that maximizes customer lifetime value while lowering acquisition costs. You will learn how to architect a “conversion funnel” to give businesses more leads, more customers of greater value while spending less on acquisition. Many people think that content marketing means blogging. Content marketing actually fuels every part of your funnel from the very top down past conversion through advocacy and promotion. The DigitalMarketer “Value First” content plan transforms cold prospects at the top of the funnel (TOFU) into loyal buyers at the bottom of the funnel (BOFU), nurtures them through advocacy and turns them into promoters. This class not only covers the content you need to produce. It also covers things such as the strategy needed to build around your topics, when to enlist outside help and how to get people dying to create content for you. Purchase Content Marketing Mastery Now! This course shows you how to generate traffic and turns you into a Customer Acquisition Specialist! You will know how to leverage channels such as Google and Facebook to grow your customer base at a PROFIT! No more hoping and praying! Create scalable, duplicatable traffic campaigns that generate new customes from scratch! These may be in the form of Facebook Ads, Google AdWords, YouTube Ads, LinkedIn Ads, Twitter Ads and more. Figure out where your market is hanging out online. Keep track of the metrics that actually matter. And scale those campaigns once you have a winner! Purchase Paid Traffic Mastery Now! Generate more sales and conversions from the list you already have (even if it’s tiny)! Email is still consistently ranked as the highest ROI marketing activity. Even though that is the case, most marketers are not taking strategic advantage of it. Increase your opens, get more clicks. Start doing email right and double your sales without having to increase your ad spend! Purchase Email Marketing Mastery Now! Get your step-by-step plan to track, measure and monetize your social media efforts! Your market is on social media waiting for your right now. Will you put it off and ignore them? Or will you make a half-hearted attempt to engage them? Or will you take a strategic approach and put processes in place to listen to your ideal clients, influence them, network with the best contacts to grow your brand and sell your products without being pushy. Once you take this training, you will be able to optimally engage with your market and also track, measure and monetize those efforts. Purchase Social and Community Mastery Now! Get your complete plan for free organic traffic! SEO has changed and the old rules no longer apply. Businesses need to pivot and emphasize user experience over the old tactics. Today, sites need to be optimized based on the user’s intent, not just the search robots. Purchase Search Marketing Mastery Now! Build your own powerful analytics dashboard to help you make smart decisions. While most sites have Google Analytics, only about 30% of people even log in to look at their dashboard. Of those, most of them don’t know what they’re doing or what to look for. After this training, you will have the ability to collect and analyze data as a tool to drive the business. 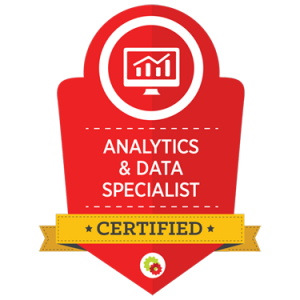 Purchase Analytics and Data Mastery Now! 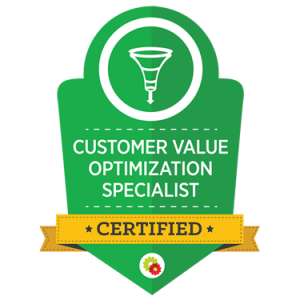 Become a Conversion Rate Optimization expert! Most business and even most marketers either don’t test at all or only test when they see low conversions. You will have a proven process in place to tell you exactly what and when to test. Increasing your conversion rate means more leads and more sales from the traffic that you’re already getting. Improve this and all of your other efforts will also benefit! Purchase Optimization and Testing Mastery Now! Make more sales and profit from your Ecommerce store! Learn how to optimize your ecommerce website, how to generate ecommerce traffic, how to write ecommerce emails and more! Purchase Ecommerce Marketing Mastery Now! If you’re an entrepreneur or marketing professional, then DigitalMarketer Lab is for you. DM Lab currently has over 15,000 members and is growing non-stop. While it is the largest community of digital marketers on the planet, it is also a warm and supportive group! If you join today (or even start the 14-day $1 trial), you will get 36+ “operating manuals,” discounts on tools and software you’re already using, and you will be able to get support from and provide to fellow members through a warm and supportive Facebook group. Discover what is actually working today at the speed of the web! Get started with a 14-day $1 trial today!